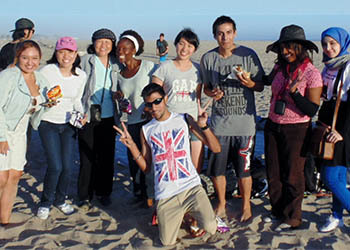 The CA Cousins mentor program for F-1 visa students during their first semester. Cousins are current Fullerton College students who serve a vital role in the successful transition and adjustment of new students. 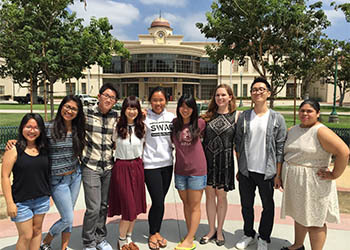 They help new students adapt to the campus and orient them to college life, Fullerton community, and the U.S. They are here to help with: class registration, campus tours, finding housing, giving tips about community resources, being a friend away from home, and much more! 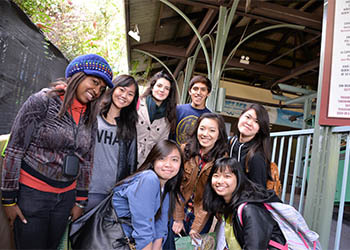 Both mentors and new students gain cultural insights, personal experience, and new friends. Click here for more information if you are interested in serving as a mentor.